Music-streaming services are famously unprofitable, with Spotify, Deezer, Napster, Tidal and others all recording losses while they try to build their businesses. Is there a path out of the red and into the black for music-streaming, but crucially, one that will also ensure musicians are fairly rewarded for their works? That was one of the topics at the Paris Electronic Week conference, in a ‘Is Streaming the Future for Dance Music or a Dead End?’ panel session. “For as long as rightsholders want to ask for unsustainable amounts of money upfront and unsustainable amounts of money along the way, then the economics are going to be difficult,” said Cliff Fluet of Lewis Silkin/Eleven. Austin Kramer, global head of dance and electronic music at Spotify, suggested that dissecting the profitability of services at this stage in the market’s development is not necessarily the right way to look at this. Instead, he thinks the industry should be looking at the knock-on effect of the streaming economy within the artist community. Kramer did, however, suggest big changes are afoot on the free side of Spotify’s offering – the part that is commonly agreed on as the biggest drain on its finances but, from the company’s perspective, an essential customer acquisition platform and way to lead those listeners into subscriptions. Fluet said we need to step outside of the music industry bubble and look at this conundrum of growth versus sustainability from the perspective of the wider tech industry. “The music industry does take a very different view to the world of technology and business,” he argued. “Uber is losing money hand over fist yet its market cap is something like $50bn [it’s actually $68bn according to the latest estimates]. Amazon didn’t make any profit for the first 15 years and Jeff Bazos was very clear on that. ‘I don’t want it to be profitable. I want it to be everything. And when I have cracked everything, then we will make the money’,” said Fluet. It all, of course, depends on the core business model and the level of marketing spend around a service that can see it be profitable as a mid-tier operation or doubling down to go deeper in debt and (hopefully) emerge a market monolith like Amazon. 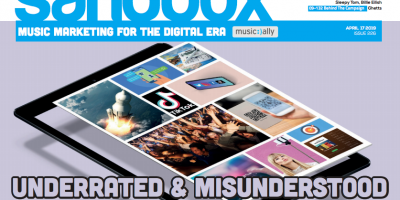 While Spotify, in its playlist strategy, is moving to become more radio-like, within dance is it moving to be more like Mixcloud in blurring the lines between “playlists” and “mixes” and that is something that will grow in the coming months. Beyond the broader economic debates, Kramer also hinted at how Spotify will evolve for the dance music industry in particular. “Dance music cycles quicker than pop,” he said of the comparatively high turnover of streaming within the genre, which is in a large part due to the fact dance fans tend to be earlier adopters of digital technology. “Compared to radio, it does move quicker. Fans consume it quicker and are wanting something new – and that’s where Mixcloud and Beatport can come in. They are places where you can hear the new music immediately,” added Kramer. Kramer previously took part in a panel on the future for radio, where he claimed that “radio is of the past – it’s not relevant”. It reminds me of the conversation that Napster was having with the labels 15 years ago. It was a bad idea then.